We do not currently have an online donation system in place as almost all providers charge a commission or at least a credit/debit card processing fee. We don't think it is fair to our donors to have their contributions reduced so please use one of the following methods instead. As we are sure you can appreciate, running a church can be a very expensive business. Therefore, donations from parishioners and benefactors are always welcome, which helps keep the wolf from the door, so to speak! 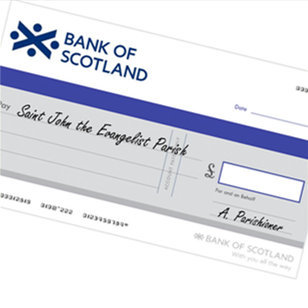 Make a regular donation to Saint John the Evangelist Parish, Barrhead by Standing Order. This allows you to make regular donations to the parish on a dedicated date of your choosing - either monthly, bi-monthly, quarterly, bi-annually or even annually. Please download and complete the Standing Order Form and return to the parish on the address at the bottom of the form. 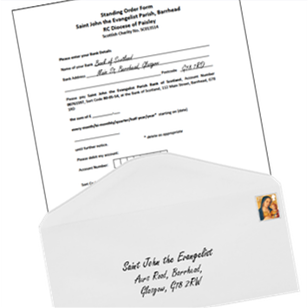 Write a cheque made payable to Saint John the Evangelist Parish, place it in an envelope and either hand this into the parish house or directly to our Parish Priest. Gift Aid your offerings. For every £10 you give, the Parish receives £12.50. 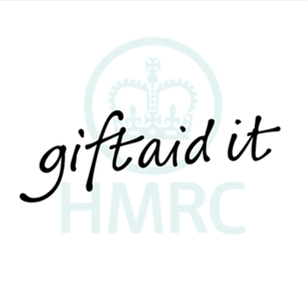 Read more about Gift Aid here. The Parish Bell, which is the original bell from the old Church, was recently restored at an expense of around £7000. 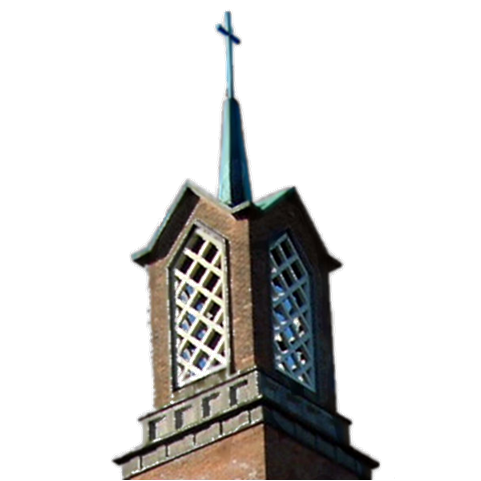 To mitigate the expense we are asking Parishioners, or anyone who is interested, to sponsor the bell for a day. The cost is £10 and the bell can be dedicated for a special celebration or to the memory of a loved one. Click here for more information. 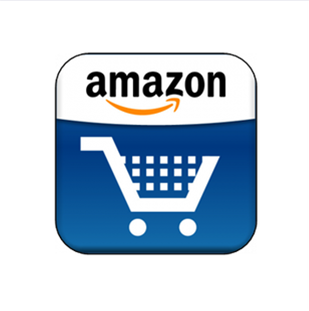 If you are buying anything from Amazon.co.uk, use our slogan: THINK AMAZON, THINK PARISH. 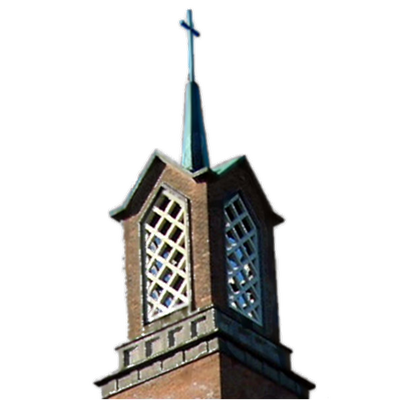 By clicking through from our website, the Parish earns a small commission on anything you purchase from Amazon. If every one of our Parishioners did this we would soon be earning a substantial amount at no extra cost! So please remember to click through from any banner link on the website the next time you buy from Amazon. We greatly appreciate your generosity.